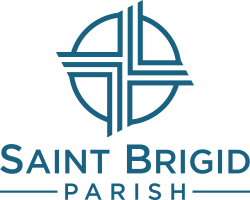 Saint Brigid Parish is in San Diego, California in the community of Pacific Beach. Pacific Beach is a vibrant community where the Pacific Ocean is our playground and St. B's is only three blocks from the beach. We are located on 4735 Cass Street, San Diego, CA 92109 between Diamond and Missouri Street. Our community attracts all ages and is great for families; half of our residents are young adults (20-35). In addition to the ocean, we have many great restaurants, bars, cafes and shops within walking distance. For directions, click on the Google Map. Click on the campus map to see where certain rooms are located.